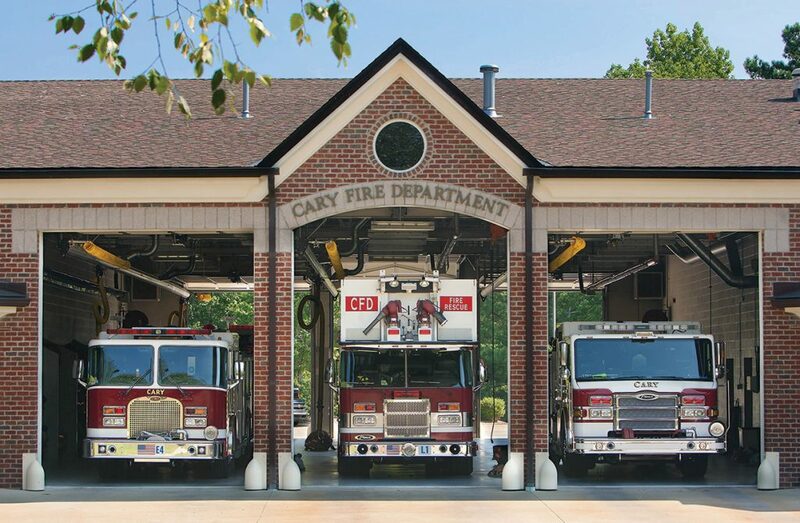 The Town of Cary, North Carolina, had cancelled or put on hold tens of millions of dollars in important projects even as the population increased. 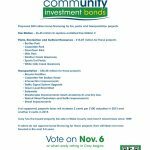 Town leaders decided that voter-approved bonds would be the least costly option to fund much-needed municipal projects. 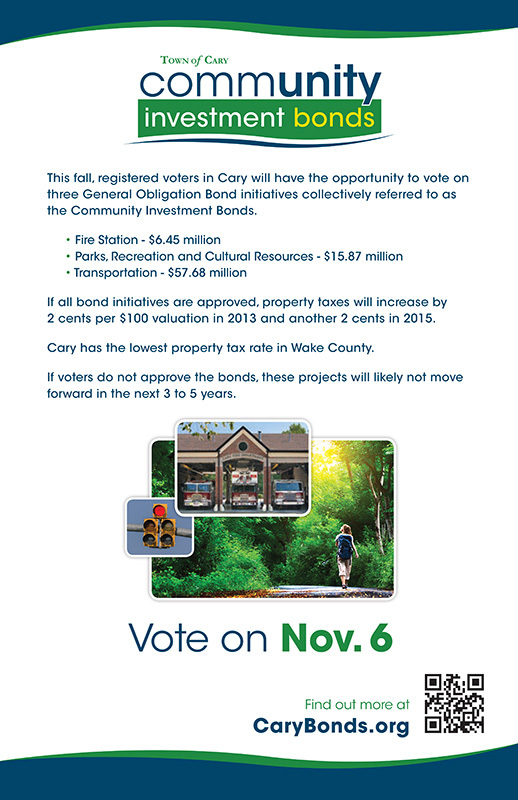 The Town hired S&A to assist in planning and implementing a public information campaign to educate voters about the importance of three bond packages up for a vote in 2012. Branded the bond packages as Community Investment Bonds and developed a logo. Created a designated website to serve as the official hub of information. Designed and produced informational materials including retractable banners, posters, print ads, newspaper inserts, online ads, town employee paycheck inserts, a direct mailpiece and PowerPoint presentation. Photographed sites around town and compiled an image bank for the campaign. Obtained databases of registered voters and coordinated mailing of the mayor’s letter to more than 53,000 voter households. Contacted more than 175 homeowners associations and civic groups, and coordinated educational speaking engagements. Wrote scripts, and worked with a local video production company to produce a long-form video and a :30 spot. Coordinated ad campaigns encompassing radio, TV traffic report sponsorships, print ads and HTML email campaigns. 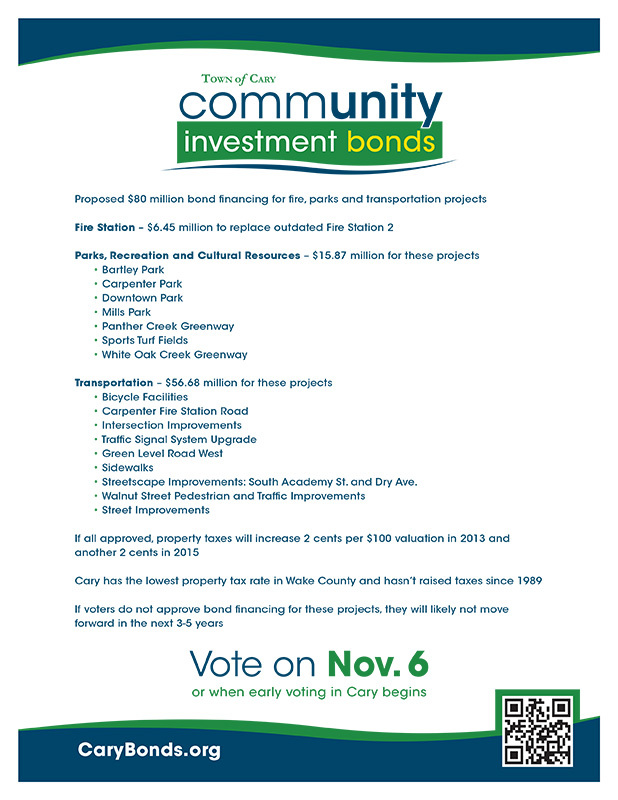 Each of the bonds passed in resounding fashion, with higher margins than in any vote in Cary’s modern history. 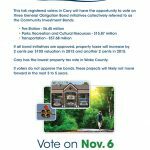 The Transportation Bonds Referendum passed by a vote of 70% to 30%. The Parks, Recreation and Cultural Resources Bond Initiative passed by a margin of 69% to 31%. 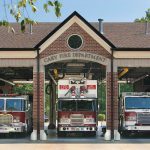 The Fire Station Referendum passed by a vote of 80% to 20%.